Our video conferencing facilities offer the perfect alternative to expensive and time consuming travelling. It is a cost- effective way of conducting long distance meetings, without having to leave home or the office. The video conferencing rooms we offer are professionally run and equipped with the latest technology. 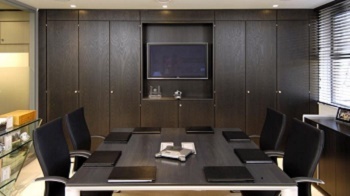 We ensure everything is set up correctly, so you can fully concentrate on the meeting. Our multilingual team are available to arrange your preferred video conference facility at short notice. Need a connection to the room? Why not use our bridging service to ensure a smooth, quality connection. Our booking team are always on hand to guide you through the process, we have no answer machine!